A new Street Fighter champion was crowned this weekend. Shacknews watched all the action intently and is here with our four biggest takeaways from Capcom Cup 2018. This year's Capcom Cup is in the books. A new Street Fighter world champion has been crowned, with the smoke from the Capcom Pro Tour finally clearing and leaving only one competitor standing. 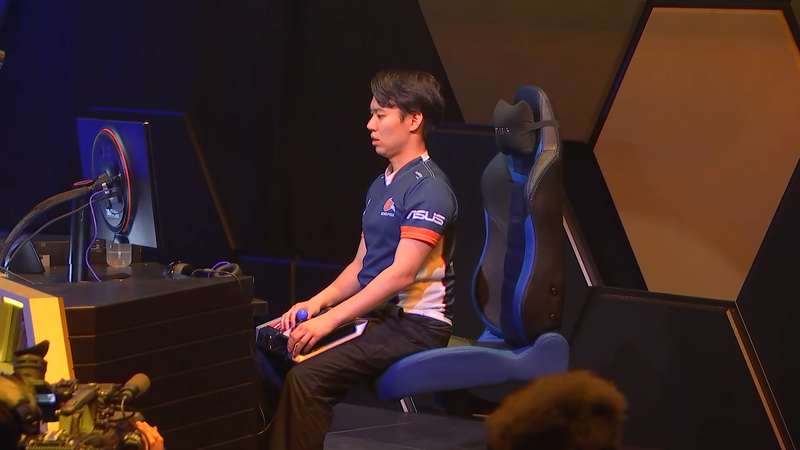 That player is Kanamori "Gachikun" Tsunehori from Japan, one of the several Street Fighter V: Arcade Edition players under the Red Bull Esports umbrella. Gachikun and his Rashid prevailed in a wild Grand Finals against a much larger opponent in Hiromiki "Itabashi Zangief" Kumada's Abigail, overcoming crushing first set loss to take the second set 3-1. As was the case with last year's Capcom Cup, there was quite a bit to learn from the final Street Fighter V tournament of 2018. So with the big dance freshly in the rear-view mirror, Shacknews has some final thoughts on this year's event and looks ahead to next year. The presentation for this year's Capcom Cup looked drastically different, mainly because it was the first time since Street Fighter V's release that the Capcom Cup was not attached to Sony's PlayStation Experience event. Just weeks before Sony revealed that the PlayStation Experience would not return for 2018, Capcom revealed its plans to take the big show to Las Vegas, holding the Capcom Cup at the relatively new HyperX Esports Arena Las Vegas. 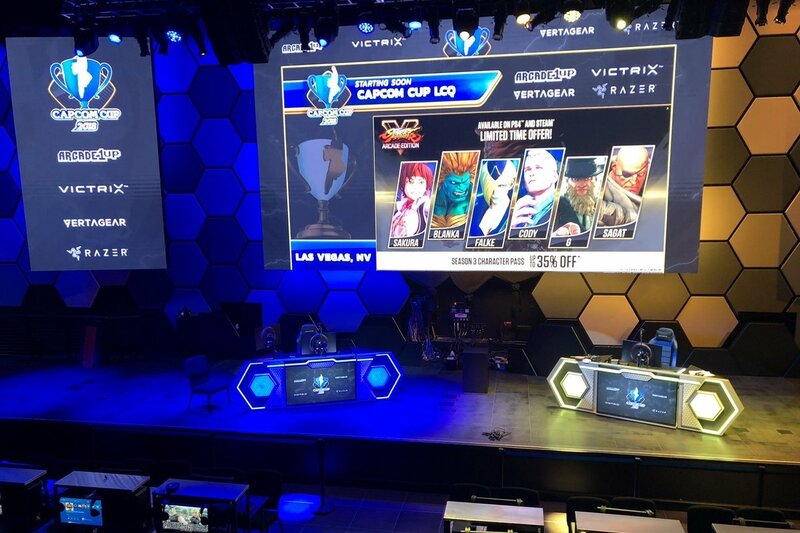 While the various PlayStation Experience venues gave the Capcom Cup more of an "official" atmosphere, ESA Las Vegas proved to be a far better home for Capcom Cup. It felt more focused, curated more towards the Street Fighter player. And while the space was a bit smaller, that worked to the event's benefit. EVO's final day unfolding from the Mandalay Bay Events Center is a testament to how fighting games have hit the big time and have come up from nothing. The Capcom Cup was a more intimate celebration, right down to the Hype Tunnel and the DJ sets. It's not a full throwback to the fighting game scene's old days, but it's closer to what the scene is all about. And that made for a more entertaining tournament. There was a day when seeing Justin Wong at the top of a big-time Street Fighter tournament felt common. He's among the most recognizable names in the fighting game scene, recognized by casuals as the other half of EVO Moment 37. Justin got off to a big start when Street Fighter V first released, quickly cementing himself as the man to beat among North American players. Then the rest of the SFV field caught up to him. While he's hung around, he hasn't been the dominant force that he was when the game first started. 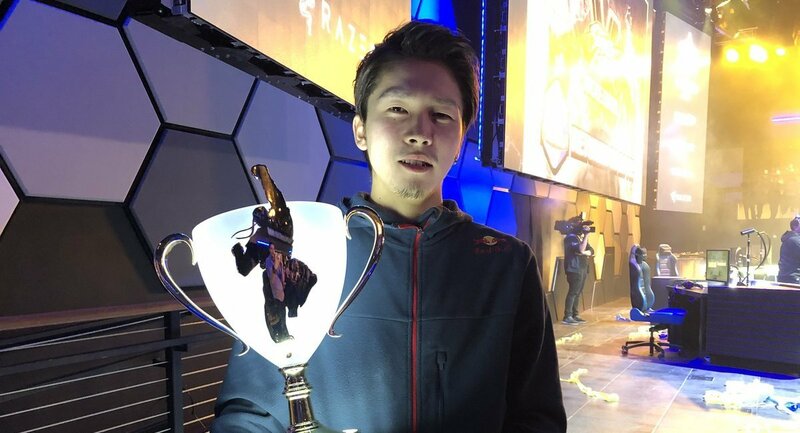 Capcom Cup 2018 was Wong's best performance so far in Street Fighter V. In a tournament that saw upsets almost across the board (we'll get to that in a second), Justin maintained a true veteran's poise, exercising patience throughout all of his sets. His set against EVO World Champion Benjamin "Problem X" Simon was a great example of this, with Wong setting the tone early with an opening Time Out win in the opening game's first round. Justin has fully embraced Menat's zoning game, using her projectiles and V-Skill to keep his opponents at a distance. He also baited opponents into Menat's Critical Art frequently over the course of the weekend, doing heavy damage and often finishing. While he ultimately finished in 5th place, falling to eventual runner-up Itabashi Zangief, Justin Wong proved he's still among the top of the class in North America. Last week, he committed to returning to multiple games, but he'll still be a dangerous competitor in Street Fighter. Capcom Cup has had a history of momentous upsets. In 2016, CPT juggernaut Seon-woo "Infiltration" Lee went two and out. Last year, Victor "Punk" Woodley walked in as the points leader and lost his very first match to Last Chance Qualifier winner Naoki "Nemo" Nemoto en route to missing the Top 8. This year, more stars fell early than ever. CPT points leader Hajime "Tokido" Taniguchi? Fell early to eventual champion Gachikun and missed the Top 8 cut after losing to Echo Fox teammate Yusuke Momochi. EVO World Champion Problem X? Dropped back-to-back sets against Justin Wong and Kun Xian Ho, also missing Top 8. What about Keita "Fuudo" Ai, who came in 4th on the leaderboard? He lost his very first set 0-3 to Chris Tatarian, in one of the biggest upsets of the weekend and fell shortly afterwards to Punk. As for defending champion Saul "MenaRD" Segundo? He lost close in the most competitive first round match of the day to Problem X before going down to Momochi. There's a real Capcom Cup curse in the air, with top CPT players going down early, adding to the sense that it's truly anybody's tournament to win. The Grand Finals spoke to this, with 18th seed Gachikun facing 24th seed Itabashi Zangief. That makes Fujimura Atsushi's third place finish all the more remarkable. He's the only player in the top 5 of the Capcom Pro Tour leaderboards to crack the Capcom Cup Top 8. Over the past two seasons, Rashid has risen from the depths of the lower tier characters. More top players, like Li-Wei "Oil King" Lin and Adel "Big Bird" Anouche, have picked up the character and started to excel with him. This year's addition of V-Trigger II has only improved the character, but he still isn't what one would consider upper tier. But as is often proven with fighting games, it isn't always the strength of the character, but how the player uses that character that ultimately propels them to victory. Faced against an upper-tier character like Abigail, Gachikun's faith in Rashid never wavered, as he used every tool in his arsenal. The wall jumps, the zoning projectile, the Spinning Mixers (of varying strengths), the Eagle Spikes, his unique moves, and even his Ysaar V-Trigger I all made an appearance and were all used effectively. While it wasn't enough to stop Abigail's momentum in the first set, Gachikun regrouped and put the character back to work, switching to his new V-Trigger II and proving too quick for the powerful Abigail. Rashid is getting some noticeable nerfs with the new Season 4 patch, but casual players who tuned in on Sunday got to see a show. They not only saw an expert Rashid player at work, but also got to see just how fun the character can be to play. 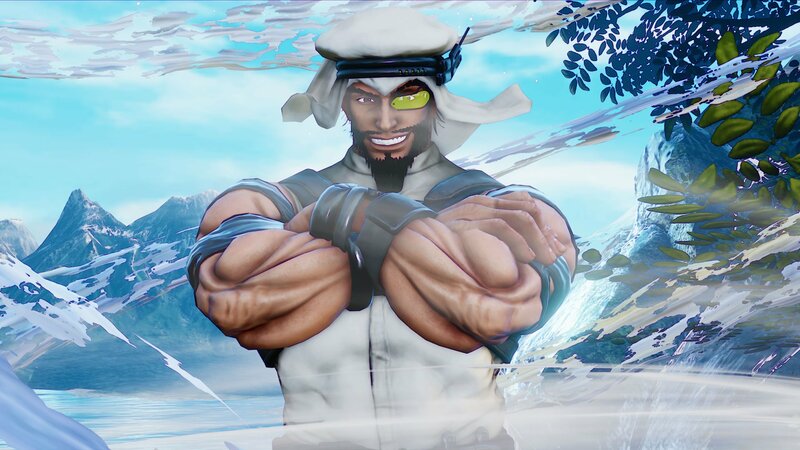 Rashid has been one of the breakout stars for Street Fighter V and it was nice to see him get even more tournament spotlight than he's had in the last few years. The Capcom Pro Tour will return in 2019. What are your biggest takeaways from this year's championship tournament. Join the conversation and let us know in the comments.